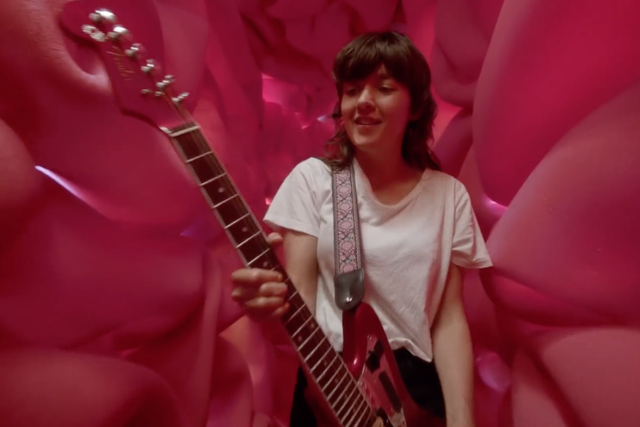 Now, Barnett has shared a new music video for the track. Doubling down on the bluntness of the song’s title, the video for “Everybody Here Hates You” literalizes the lyrics with a trip into Barnett’s brain. After zooming straight through her skull, we see Barnett and her band playing the song inside her head, singing that refrain: “You said ‘It’s only in your head’ / They’re probably thinking the same thing.” The brain slowly caves in over the course of the video, eventually absorbing Barnett and bandmates in a kind of Star Wars trash compactor situation. Watch the new music video for “Everybody Here Hates You” below.